Occupational health services and medical surveillance within EHS works towards the goals of adequate program surveillance measures for a variety of exposure areas, early recognition of health alterations due to exposure and management of occupational exposure programs. This program addresses management of building materials containing more than one percent (>1%) asbestos. The purpose of the Animal Contact program is to minimize the health and safety risk of working with vertebrate animals to an acceptable level. Measures to prevent employee exposure to hazardous chemicals include the use of proper engineering controls, work practices, and protective equipment. The use of filtering facepiece respirators, also referred to as N95 disposable dust masks, on a voluntary basis during activities that involve exposures to low-level, nonhazardous nuisance dust or other similar particulate. If filtering facepiece respirators are required NCSU Respiratory Protection Program must be followed. Where engineering and administrative controls are not successful in lowering noise exposure,hearing protection devices must be used. 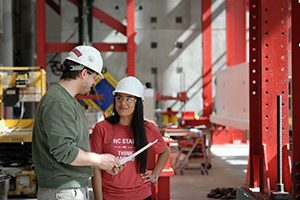 The purpose of this program is to establish written policies and procedures to be used at North Carolina State University (NCSU) in the management of indoor air quality (IAQ). Provide guidance on the management of painted surfaces on campus, reduce the risk of exposure to lead, and ensure compliance with NC Occupational Safety and Health regulations. Based on the type of work being performed, including consideration of factors such as the duration of the task, the materials being used, and the potential for exposure, medical surveillance is either recommended or required for the job. This procedure should be followed for all construction / renovation / maintenance operations which will generate air contaminants inside of occupied buildings or which will be drawn inside of occupied buildings. Personal protective equipment (PPE) is used to create a protective barrier between a worker and hazards in the workplace. This standard addresses training, personal protective equipment, safety procedures, and medical monitoring to reduce or eliminate exposure to pesticides. 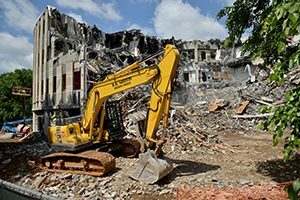 To protect workers and others from respirable crystalline silica (RCS) exposure NCSU has developed a Silica Exposure Control Plan (SECP). The plan has developed following requirements.